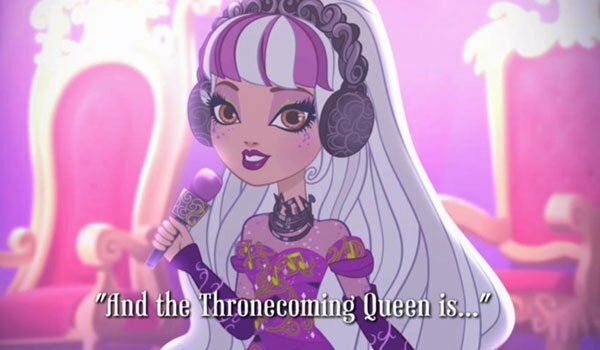 You can’t miss out this new Ever After High chapter if you want to discover who is finally the Thronecoming Queen!! 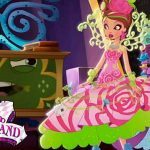 This is the second part of the Thronecoming day episode (Part 1) where the name of the Thronecoming Queen is revealed from the four candidates who are expecting to be selected, which are: Blondie Lockes, Raven Queen, Apple White and C.A. Cupid. Melowdy is the person who is going to announce this year’s winner. But before you’ll see what each candidate answers to that question: What would life be like if you were Thronecoming Queen? See the answer in the following video! I really wanted it to be Blondie. Yes!Raven is the Thronecoming Queen! Raven has beauty and a purpose to be thronecoming queen. Uhhhhh Apple is so good Raven is ok I guess…. Apple is better! Yippeeeeeeeee! Raven won! She deserved to win. Raven rules! 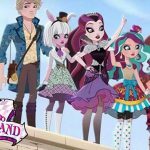 I’m glad that raven won because her speech was inspiring when she said she wanted ever after high students to write their own destinies instead of doing what the book of destiny says! I thinks so too, I wouldn’t like it if my hole life was all really made for me and I turned horrible! I would hate it! raven is really brave! i think Apple should win she is prettiest. It doesn’t matter about look and Raven deserves to win cause Apple wins everything because she the fairst of them all so it’s not really fair! I really wanted it to be Blondie or Apple. Oh well.